With all due respect, your economic stewardship has been a nightmare. Whether our nation’s lingering peril comes from your misunderstanding of basic economic principles, your rigid and religious-like devotion to political progressivism or because the economy simply isn’t your priority, credit and fault nonetheless begins and ends with you. As such, I’m writing to you in an appeal to the one thing that didn’t contract during your presidency: your ego. No matter how you attempt to spin the news, clear-thinking Americans know – many from personal experience – that the economy isn’t improving. The federal Bureau of Labor Statistics says the national unemployment rate dropped to 7.3 percent in August. : But the rate for Latinos only dropped to 9.3 percent. : The rate for blacks increased to 13 percent, with black teens at 38.2 percent. America is still millions of jobs short compared with before you took office, and many of the jobs created during your “recovery” do not pay as well. The labor force participation rate is at a 34-year low of 63.4 percent, and has been under 64 percent for 19 straight months. : Ninety million Americans are no longer in the labor force. : Teen employment is tragically low. : Almost a million people have given up hope of finding a job in this job market. More than 250 companies reportedly reduced employee hours and cut jobs altogether in attempts to survive under your signature legislation, ObamaCare. As captain of this rudderless ship, Mr. President, you are responsible for the fact that more Americans are on disability insurance than people living in New York City. : Reinforcing the truth of this sad and unfortunate reality, the Cato Institute notes welfare programs in 35 states provide more of a financial incentive to not work. : In 13 states, the welfare equivalent is above the $15 per hour “living wage” promoted by so many of your supporters. Since your 2008 election, the median family income has dropped for most Americans. : For whites, it was a 3.6 percent decline. : For Hispanics, there’s been a 4.5 percent decline. : For blacks, your most loyal constituency, it’s a much larger 10.9 percent decline. But that’s not all. : Your economic policies resulted in a spike in poverty, particularly distressing for blacks at almost 26 percent. : This is in combination with black labor force participation at a rate of 61.4 percent and an unemployment rate continually at or near 13 percent during your presidency. According to the National Urban League’s 2012 State of Black America, the black economic gains over the past 30 years were wiped out in the recession and your so-called “recovery” that followed. These statistics aren’t abstract numbers, Mr. President. : These numbers represent real people who continue to press on despite losing hope and faith in you as our leader. Sir, these excuses do you no favors. : Actually, these excuses further expose your inability on the job and your reluctance to accept responsibility. It’s precisely why the American public no longer trusts what you say or do. : It’s also why you have been found wanting as a leader in the international community. These critiques aren’t because of your blackness, but because of your ineffectiveness. : The frustration is palpable. : In the spirit of Dr. King, whom we all just celebrated for his leadership, you’re rightly being judged on the content of your character – along with the actions brought forth from it – and not by the color of your skin. History may not be as kind to you as it seems in the bubble in which you currently reside. : Becoming the first black president of the United States may seem to be a historic achievement right now, but being “the first black” simply isn’t enough in the long-term. Your novelty has worn off. : It’s time you actually do something of substance to warrant the reverence in which you see yourself and which American posterity will remember you. : You have three years left. : The clock is ticking. 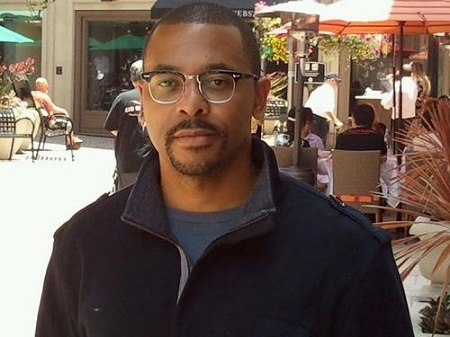 Derryck Green, a member of the national advisory council of the Project 21 black leadership network, received a M.A. in Theological Studies from Fuller Theological Seminary and is currently pursuing his doctorate in ministry at Azusa Pacific University. : Comments may be sent to: [email protected].